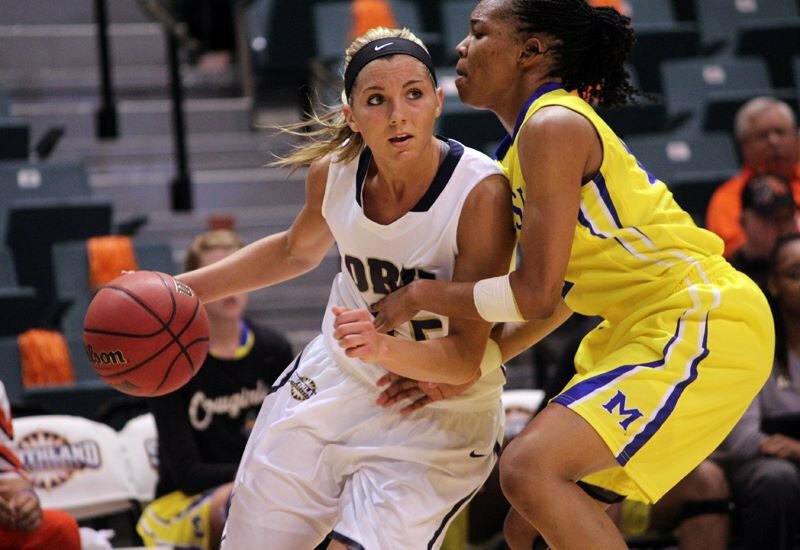 The ORU Golden Eagles women's basketball team strives for success on the court. Watch the team work together toward shutting down their opponents while aiming for the basket. See the Golden Eagles shoot hoops and dribble circles around the opposing team during a competitive match on their home turf at Tulsa Mabee Center. Witness the Golden Eagles come out victorious while wearing their signature Vegas gold, navy blue and white team colors.